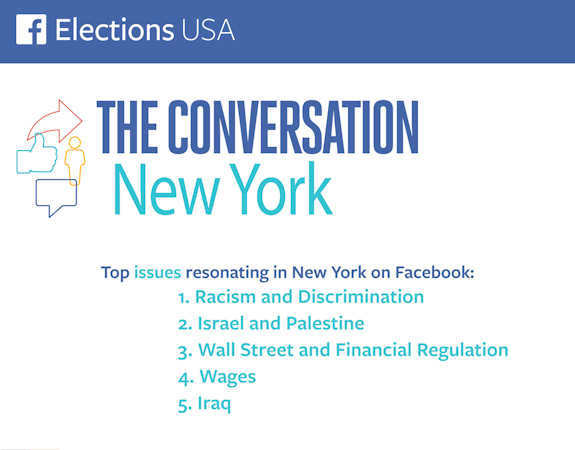 NEW YORK (WABC) -- As voters prepare to head to the polls in Tuesday's New York primary, new data obtained exclusively by Eyewitness News shows the top issues that are resonating with New Yorkers on Facebook. 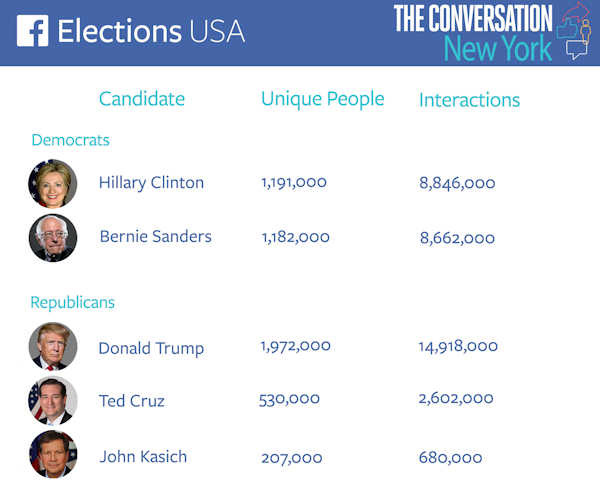 The data also detailed the number of New Yorkers on Facebook discussing each candidate as well as the aggregate number of interactions (likes, posts, comments and shares) about that candidate. 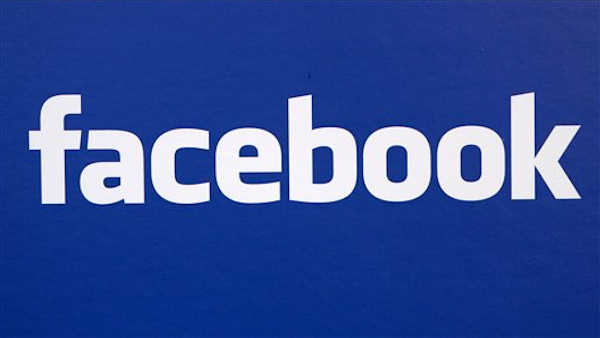 In the last month, for example, nearly 2 million people on Facebook in New York liked, posted about, commented on or shared content related to Donald Trump nearly 15 million times. This includes both positive and negative content. Hillary Clinton and Bernie Sanders were each the subject of about 1.2 million interactions on Facebook. It is important to note that the data is purely based on what people are talking about and not necessarily predictive of the outcome of the primary.